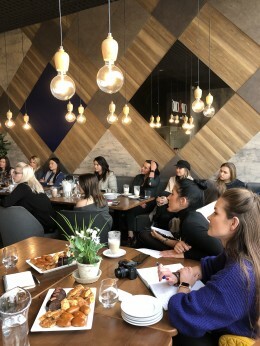 Last week on November 1 the first workshop in Latvia for bloggers and influencers was held in the mall Sky & More. Unlike the previous workshops this was dedicated to legal issues such as registration, billing, paying taxes rather than how to promote your Instagram profile. Other issues that were discussed were reputational risks, ethics in the work of influencers and the algorithms by which brands and agencies choose to collaborate. 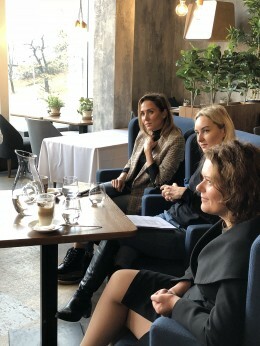 The experts were: Maija Aramaneva – a professional full-time blogger with more than three year professional experience as well as many international brand ambassador; Marija Vorkule – communication agencies A.W. Olsen & Partners communication project manager in the Baltics as well as Digital communication awards 2018 laureate for researching and analyzing the influence market in Latvia and developing a formula for selecting influencers for the needs of a particular brand; Viktorija Kristholde-Lūse – tax specialist from law firm Vilgerts. The participants were also very interested in the algorithm of how and why brands choose influencers for collaborations. The organizers presented a checklist, to which the industry experts definitely pay attention to when choosing their collaboration partners, as well as talked about how micro influencers with a small number of followers attract the attention of advertisements and communication professionals. The organizers add that such workshops will be held on a regular basis.